47 billions of euro and one million of employees: these are some key figures from the research “Italia Creativa”, presented in Milan on January 20th 2016. Italia Creativa is the first analytical economic survey of the Italian industry of Culture and Creativity. It has been realized by Ernst & Young, in collaboration with all the most important trade associations, led by the Ministry of Cultural Heritage and Activities and Tourism and SIAE. The EY research covers eleven sectors: Architecture, Performing Arts, visual Arts, Cinema, Literature, Music, Advertisement, Newspapers, Radio, Television and Home Entertainment, Videogames. It makes available, with an unprecedented high level of details, a complete overview of the numbers of such industry, which has been rarely considered as a whole, highlighting potentiality still unexplored. In 2014 the total turnover amounted to 47 billion euro, the 2,9% of the gross domestic product of Italy. From the occupational point of view, the incidence is even more significant: about one million of employees, 41% of them are young people between 15 and 39 years old (37% is the aggregated average). Among the data illustrated in the research, the revenues from online music increased sharply in the period 2012-14: about 65% from 87 to 145 million euro. In 2014, more than 45% of such revenues came from subscription services like Spotify, and Deezer. Copyright is crucial in this framework in order to ensure adequate remuneration to authors and publishers for the exploitation of their works. The Minister of Culture Dario Franceschini, in his speech has stressed that the research “Italia Creativa” shows how different sectors of the Italian cultural industry contribute to the whole Italian economy. «As a Minister, I am committed to foster this sector in its different branches, ensuring correct market conditions, by fighting the piracy and by granting the remuneration to copyright holders». 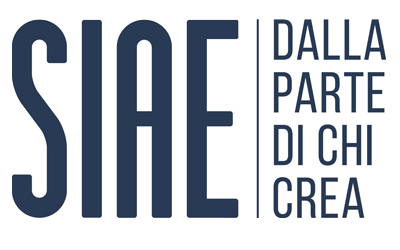 According to the President of SIAE Filippo Sugar, the cultural sector is crowded with start-ups: every author, every artist who decides to devote his life to a creative activity is – de facto – a start-up. This industry will always be linked to innovation and innovation means new and even disruptive thinking and freedom. «The resources surveyed in “Italia Creativa” are the heart and the brain of the economic body of our country».